The scooter of the future has arrived.. in style! 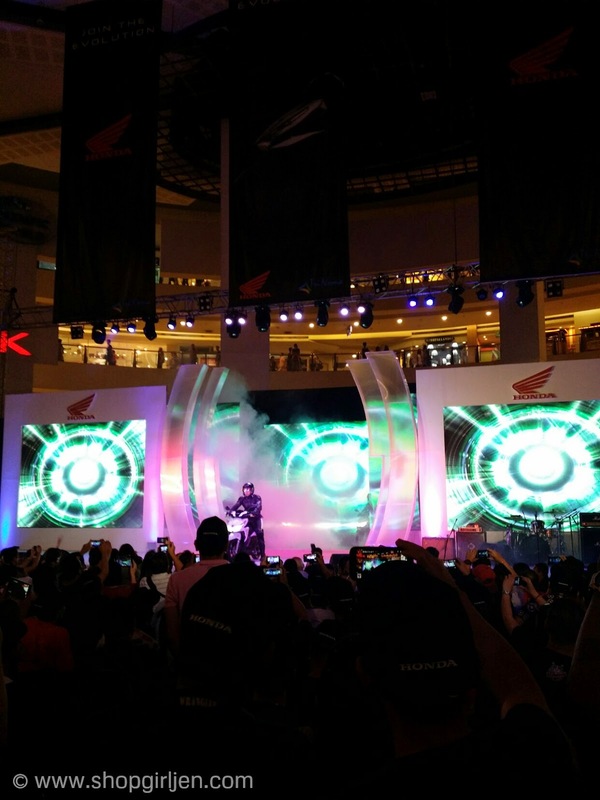 Honda Philippines, Inc. officially launches the New Honda Click 125i, dubbed as the "future of scooters" held at Trinoma Activity Center. And with the traffic everyday and everywhere, how convenient it would be to roam the city, go to your destinations and arrive in style with the New Honda Click 125i! 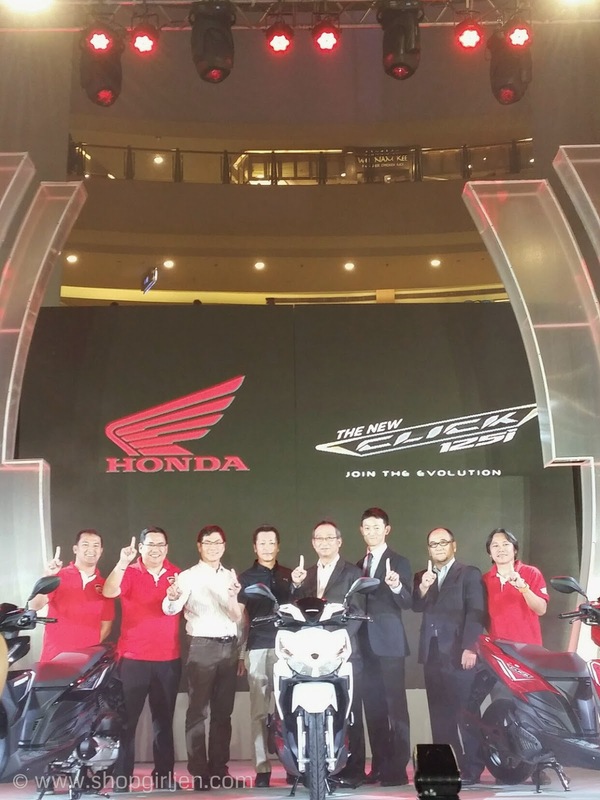 From the unique concept of Honda Zoomer-X, the Honda Click 125i is equipped with New Generation Intelligent 125cc global engine with cutting edge technological features that developed simultaneously with other Honda-dominated-scooter countries like Thailand and Indonesia. 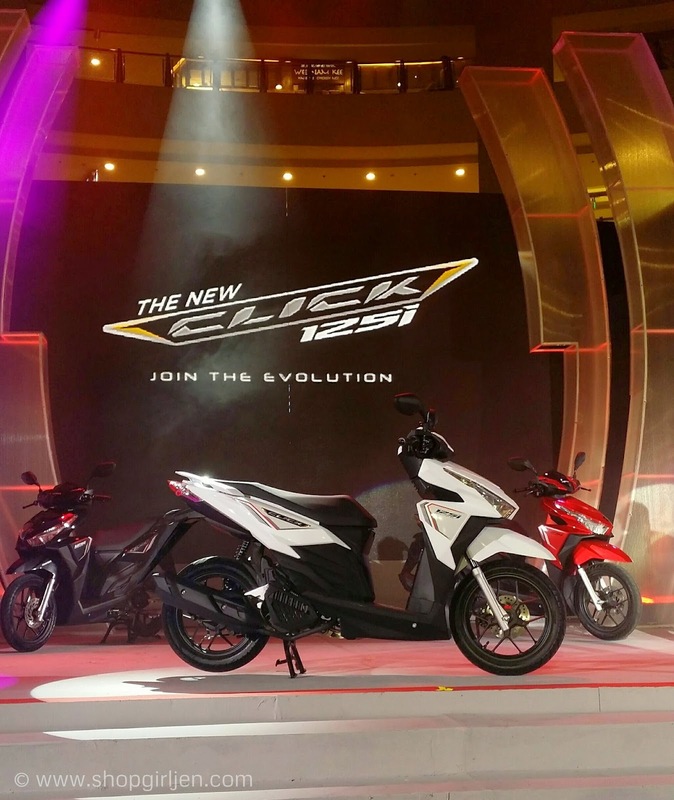 The Click 125i presents an aggressive and sporty design with a sleek and innovative look based on the image of the new engine featuring cutting-edge technology and an exhilarating ride, while projecting a slim & sharp futuristic image. So what does Honda Click 125i have? 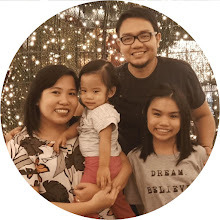 They bring future technology to the present with cut-way innovations never seen before in the local motorcycle history such as Enhance Smart Power (eSP), Idling Stop System (ISS) and trendsetter Combined Brake System (CBS). The New Honda Click 125i eSP also features dependable Honda Safety and Security features like standard automatic Side Stand Switch where the engine does not start up when in the down position, and Brake Lock easily operated to prevent the motor jump when started or remains in the idle state when stopped on a hill. Bigger tubeless tires for better traction and more secure feeling and comfort compared to other brands. Another excellent feature is the reliable safety magnetic key (Magnetic Key Shutter) which effectively prevents theft and push-button seat opener. The New Honda Click 125i eSP also has the largest capacity in its class at 18 liters which is capable of storing a Full-face helmet. The Futuristic Super Sport Scooter is complemented by its Trendsetter LCD Meter Panel and class leading Dual Keen Eyes LED Headlight projecting a commanding "Night-Face-Image'. The LED headlight provides a better advantage for the rider through 80% higher light intensit, 80% more efficient power consumption, and longer lifetime. 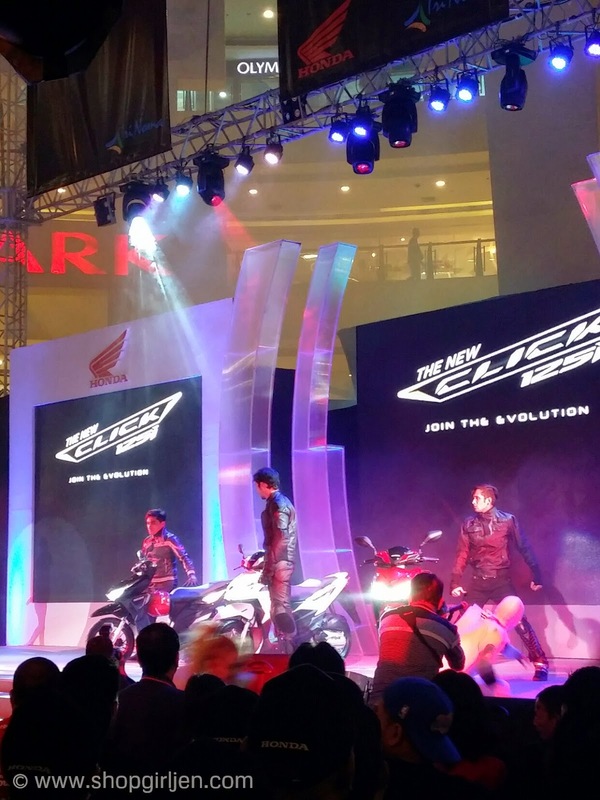 With the latest technology that the New Honda Click 125i offers, you can no get it for only Php87,900! They're available in three colors of Pearl Horizon White, Asteroid Black Metallic and Candy Rosy Red with Honda Genuine Accessories in selected Honda 3S shops. Visit their website www.hondaph.com for more info.